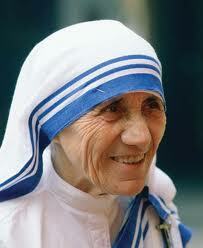 The Co-Workers of Mother Teresa run a small prayer group to pray for the work of the Sisters. This takes place in the Chatterton room at St Joseph's after the 10 am Mass on the first Wednesday of every month, and we would be pleased to welcome more members. The group also organise a Day out for the Housebound to whom the Missionaries of Charity minister during the year, and also a day in the country for the children in their Catechism classes.